Joe Gangemi has already responded to our list of questions. So BE SURE to check it out. We will begin posting one Q&A per day beginning tomorrow -- Monday, March 6. 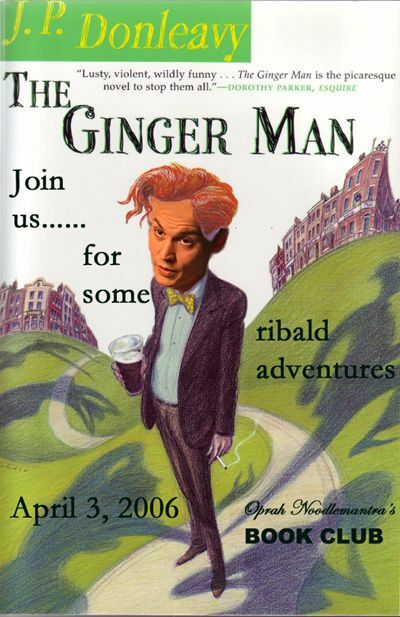 Enquiring Noodlemantras want to know…..
And on Monday, March 20, look for Ginger Man tidbits….. I'm so happy for you guys. I didn't read this one, but I'm very excited!! I can't wait to see his answers -- thanks for organizing this, Liz and DITHOT! What can I say, Theresa....I'm cruel. Seriously, that way we can discuss each one. That was quick wasn't it! I'm really looking forward to what you all have to say about some of his answers! I think Liz is right, we will have fun discussing them!